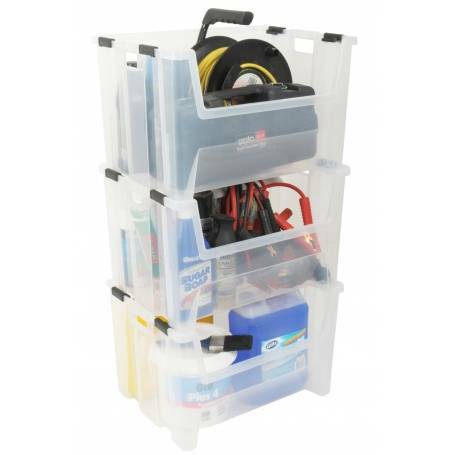 These handy stackable bins create an open front storage solution for the kitchen, laundry, garage or shed. Pack away your extension cords, gardening tools, power tools or your car cleaning products. Ideal for standing in the bottom of the pantry for storing onions or potatoes. Another style is available in bright colours ideal for childrens rooms.